Although there were some setbacks at the Federal level, there was plenty of good news in the world of Solar Power last year. 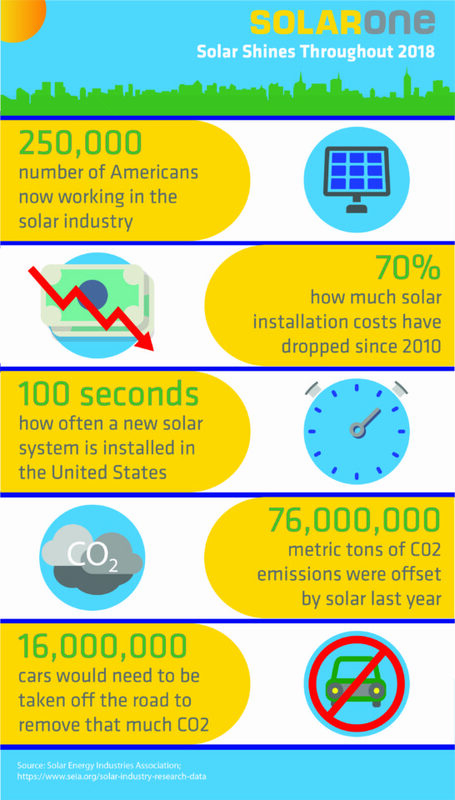 More and more Americans are working in the solar industry, and there were plenty of installations last year in all sectors of our society. The more solar we install, the more we reduce our CO2 emissions and mitigate the effects of global warming. The infographic below is just a small sampling of some recent numbers. Enjoy and feel free to share!